Not too long ago, one of the advertisements that popped up in my feed was a Groupon for a place in Grand Rapids. I despise Groupon, but I did appreciate the advertisement. I didn’t click on the link, but went to the Google instead to find out more about this new place I had never heard of. The restaurant had been open for well over a year before I saw the Groupon pop up in my Facebook feed and it surprised me just how good the menu looked once I went seeking it out. There’s nothing really surprising about it. Burgers and Sandwiches dominate the menu which only offers a few salads and some appetizers as other options. I found a couple really interesting sounding options, but decided on the Build Your Own Burger. I was going to do carry-out so I called in my order for the BYO Burger with bacon, a fried egg, and American cheese. With fries, the total came to a little over $10. When I walked in to the crowded bar, the bartender had my meal all bagged up and ready to go. 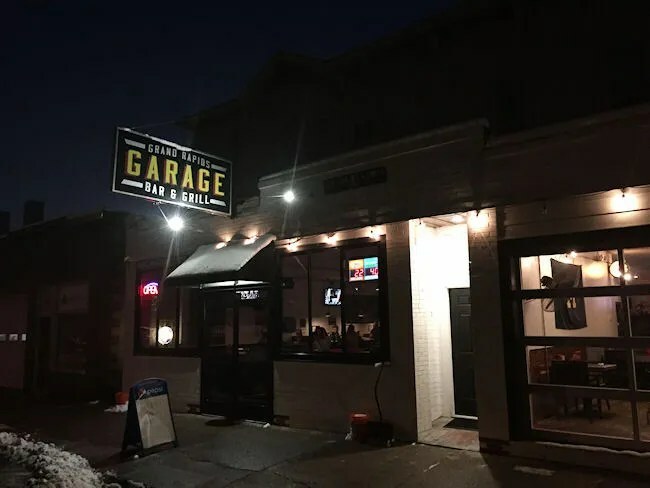 The burgers at Garage Bar & Grill are all seven ounces of fresh meat. They’re served on toasted bun “Deluxe” style which includes lettuce, tomato, and onion. I asked for my sandwich to come medium with just a slight hint of pink in the middle and that’s what I got. On top of all that was a medium egg that was just barely cooked all the way through and some really crispy bacon. I had originally asked for beer cheese on the burger (it’s on the online menu) but was told they don’t do that anymore, so I settled for American. The sandwich comes with hand cut Kennebec fries. The fries were delicious. They had a seasoning on them that just made the mouth-watering. The burger was good, but the fries took this whole meal to a new level. Sometimes Facebook ads can be a good thing. I like it when I find new restaurants and I like it when I find new, delicious restaurants. 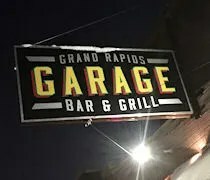 Garage Bar & Grill, while not new anymore, is delicious. 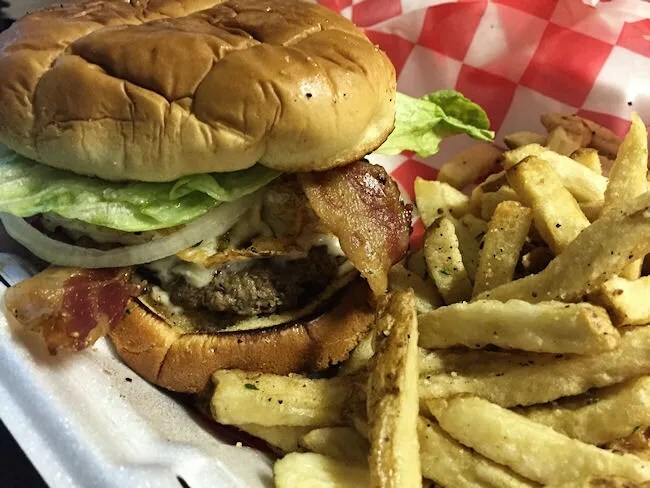 It’s in a part of town you wouldn’t think of finding this kind of food, but it’s a part of town you should be looking towards when you’re in the mood for a delicious burger.